You don’t really start the event, you just go around in specific areas of Wayfarer Foothills and Diessa Plateau to repair roadsign posts, lit campfires, and loot mementos to handle to collectors (stars on your map). Each action give you 1 “act of assistance”. You will need 75 acts of assistance for the title and achievement. If you don’t see golden stars on your zone map, then your server is bugged and you will need to guest to a non-buggy server (i.e. Tarnished Coast) or switch to a different overflow. If you’re looking for a guide for what to do, go check it out :). Dulfy also has lots of other guides/pieces of info about GW2, so you may also find other interesting nuggets of information on their site. The new GW2 content patch has landed. 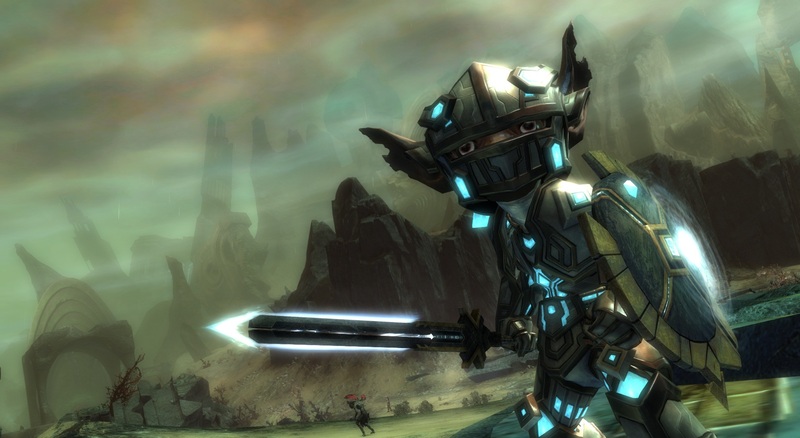 Update notes are available at: https://forum-en.guildwars2.com/forum/info/news/Game-Update-Notes-January-28-2013/. To quote Martin Kerstein…”So this is how 20 pages of update notes look on the forums”. Discussion of dungeon changes: https://guildwars2.com/en/news/robert-hrouda-on-upcoming-changes-to-dungeon-mechanics/. Note: The January monthly will not award laurels – this was so that people that had already completed the Jan monthly wouldn’t be disadvantaged or need to have a special tool created to add the laurels to people that had already completed it. I was going to do a summary, but the page spontaneously reloaded and I lost it (and it hadn’t autosaved this time, not sure why). Go read – guesting, fractals, the whole of Orr, dungeons, bug fixes, class fixes, achievements – particularly daily/monthly ones, the effects on some legendaries, heart quest rewards, etc, have all been updated/revised. There’s new Karma rewards available in Orr (particularly at the Temples) and new daily/monthly achievement tokens called “laurels” and a vendor to buy stuff using them. Please note that the January monthly will NOT award laurels (so that people who had already earned it were not disadvantaged). The Flame and Frost NPCs are due to start spawning about 7am Melbourne time on the 30th (midday ArenaNet time on 28th). Reflecting crystals despawn after ~60 secs. Pick them up and drop them to reset the timer. You need to pick up and put down. Then timer resets. Crystals can vanish in your hands, so it’s important to do the full reset to keep them “fresh”. People rez’ing will often take target priority from the maw, however if you’re holding a crystal you can rez to your hearts content. Always grab a crystal for carefree rez’ing. To make it easier – just have one crystal picked up, and press F on each of the ones on the ground. It will just swap it out and it’s one button press instead of two. Another tip: if you’re a banner warrior, summon your banners on top of the rocks so your team doesn’t accidentally miss click when picking up crystals. I expect this will get patched out: If you have a Guardian with a greatsword equipped, have them use skill #5 to bind the maw tentacle shortly before it dies (but do not hit the next skill for 5) and when it goes through the death animation it’ll spasm some more and pop out a LOT of bonus crystals. Flame and Frost: Prelude is the prologue to a multi-stage narrative that will bring big changes to Guild Wars 2 in the months to come. From January 28—February 4 the regular eight-team/three-round paid tournaments will be replaced by two-team/single-round paid tournaments in the Temple of the Silent Storm map. After the week is over, we’ll add Temple of the Silent Storm to the regular rotation of both free and paid tournaments. We’re adding a new rotation of daily achievements to add variety and encourage you to explore the open world. You’ll get different achievements every day of the week and a new achievement tracker in the UI to make it easier to track your progress. You’ll earn these brand-new laurels as a reward for daily and monthly achievements! Redeem these laurels for rewards like the new Ascended gear and Infusions! With the new guesting system, you can play with friends on other worlds in the same region (North America, Europe) without changing your homeworld. Guesting is free, but going forward there will be a gem fee for transferring home worlds, so make sure you’re on the home world you want to permanently play on before 28 January! We’re adding a wide range of new gear that can be purchased with the new laurels. With 5 new Utility Infusions and 30 Ascended Amulets to choose from, there’s something for every style of player. We’re making a ton of other improvements to the game this month, such as enhanced performance in WvW, tweaks to the dynamic level adjustment system, and UI improvements, which will be detailed in our release notes. It’s a new year, which means all-new items and a redesigned favorite in the Gem Store! From Baby Quaggan Backpacks to Riding Brooms to the revamped Box o’ Fun, you’ll find it all in the Gem Store! The guesting feature has been announced to be released in the January content patch, due 28th Jan. Full post on the ArenaNet site at https://www.guildwars2.com/en/news/guesting-is-coming/. With guesting, account transfers to other worlds will cost gems, so it’s important that if you have any friends that join the game you make sure that they’re aware of what server you’re on if they want to play WvW with you. You can only guest on worlds in the same region (i.e. US worlds when you “live” on Jade Quarry). The cost in gems for transfer will depend on the population of the server. Given that Jade Quarry is one of the high-pop servers, it’ll be in the most expensive transfer category – making it more important for new friends to sign up to the right world at the start (if they want to be on the same world, that is 😉 ). Even with paid transfers, you will not be able to transfer to a “full” world. Likewise, transfers will still be restricted to once per week. New ArenaNet news post: https://www.guildwars2.com/en/news/colin-johanson-on-guild-wars-2-in-the-months-ahead/. Daily achievements will start having variation, and eventually become a “do 4 of 6”. Improving the “looking for group” tool to make it easier to find other players to play with in the game. The improvements and fixes to the Fractal dungeons, detailed in Isaiah Cartwright’s blog post here. Edit: I’ll have a look into whether I can add this as a calculation page to the guild site over the next few days, as it’d be a nice enhancement. If not, I’ll look at porting it over, because I think it’d be a useful set of scripts ;). There’s been more details released about the Wintersday event, so our event page here has been updated with the schedule of events (in Melbourne timezone). The first five days are going to be a series of 24h visits to one of the Racial cities (visiting all 5 over the course of the 5 days), and while Tixx the Toymaker is in each city there will be special events available in that city. After those 5 days are over, Tixx arrives in Lion’s Arch, and the Toypocalypse event (instance?) becomes available. All events from the 5 days of visiting are ALSO available for replay from then until the end of the Wintersday event. Good news: there are NO one-time-only events. Even the 1-day visits are replayable later, so hopefully we won’t have people missing out this time. 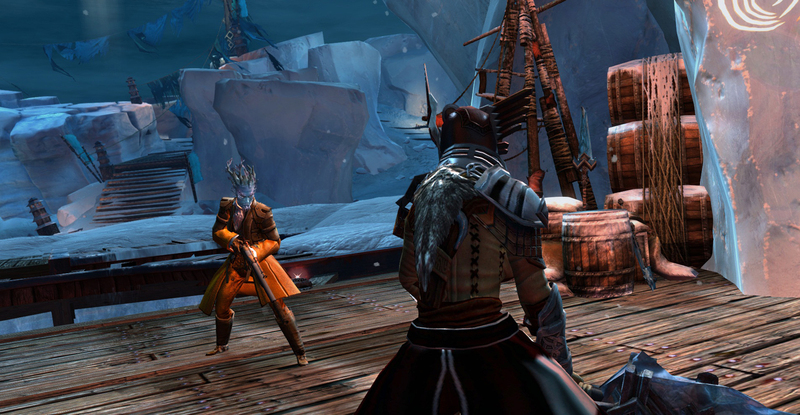 Low level characters will be automatically scaled to level 80 for the Wintersday events, so everyone can participate! Snowball fights, a jumping puzzle, a musical event, special instances, Wintersday-specific items and crafting recipes will all be available. 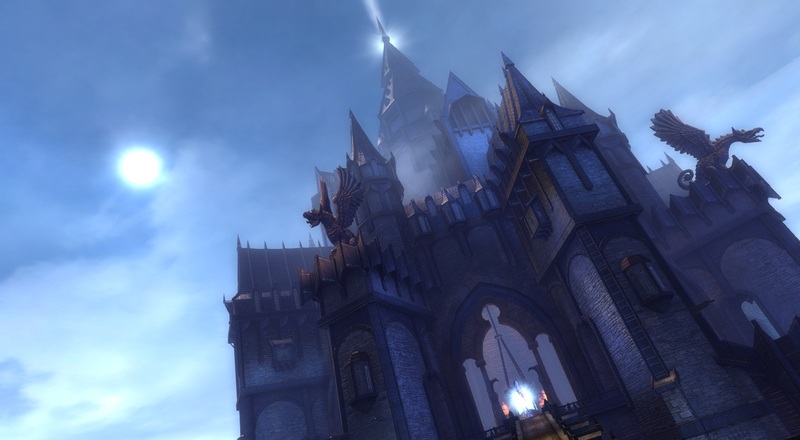 For more details, visit the official ArenaNet page: https://www.guildwars2.com/en/the-game/releases/december-2012/.